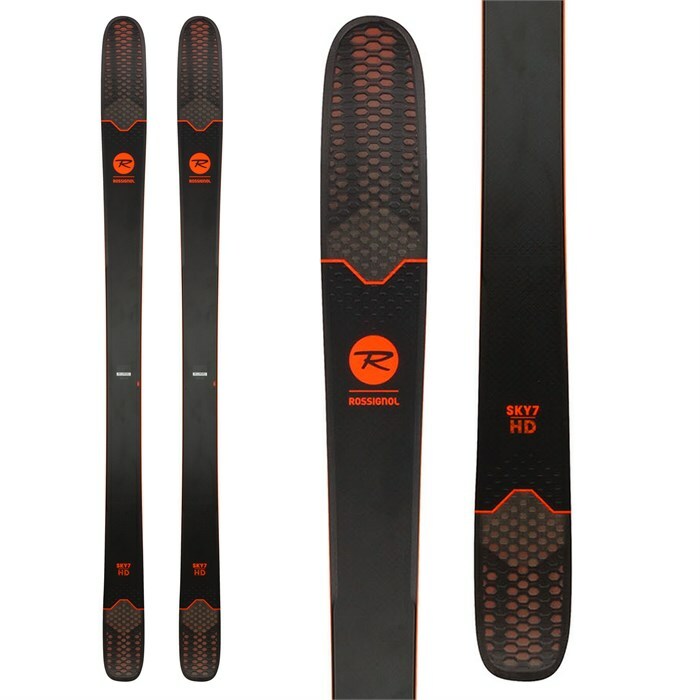 The Rossignol Sky 7 HD has a slightly new construction but is extremely similar to last year's Sky 7 HD. 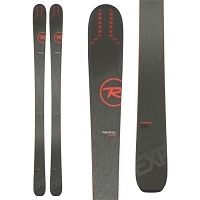 It has a new carbon alloy matrix that improves dampening and power along with its 98 mm (in the 180cm) waist it is truly an all mountain ski, quick, lively and fairly decent in long turns. It has a silky smooth ride. 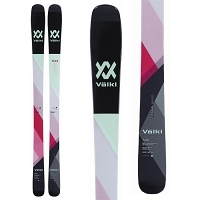 I found it to have just OK edge hold on hard snow definitely a ski that you want to keep sharp. 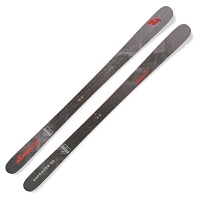 The 2018 Rossignol Sky 7 HD has a new Air Tip 2.0 which is now lighter and stronger. This air tip material is in the tip and the tail and helps lower swing weight and reduce vibration. The Sky 7 HD has a Paulownia wood core with vertical side walls plus it has a carbon alloy matrix which is a blend of carbon and basalt fibers giving it more power, stability and shock absorbing properties. 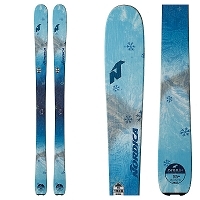 The Rossignol Sky 7 HD is essentially the little brother to the soul 7 HD. The main difference is that it's 8 mm narrower. The construction, and the side cut are exactly the same. So for all practical purposes its key is the same as the Soul 7 HD. The basic difference, since it is narrower, is that it's a little quicker from edge to edge, feels a little lighter and easier to turn. On the negative side the Sky 7 HD isn't quite as stable at speed. It won't float in powder quite as well. And won't be quite as good in crud and junk just because it doesn't have quite the mass as the Soul 7 HD. 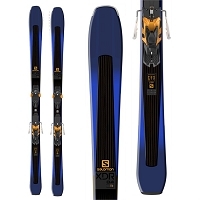 Overall, I found the Sky 7 HD to be a fun ski that's decently quick and somewhat stable at speed. 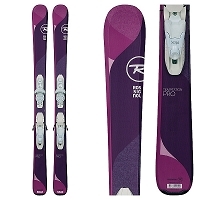 Great for the intermediate through easy going expert level skier who is looking for a ski that's forgiving and easy to ski.